This is one of my first caudiciforms. Pop names: Elephants Foot, Hottentot-Bread. This is a photo from Copenhagen Botanical Garden, which have a really big one. Wild ones from Clanwilliam, South Africa. This beautiful member of the Dioscoreaceae family was given this name by Heinrich Gustav Adolf Engler in 1908. It is from southern Africa, where it prefer a slightly rich but well drained soil with some water and some to lots of sun. 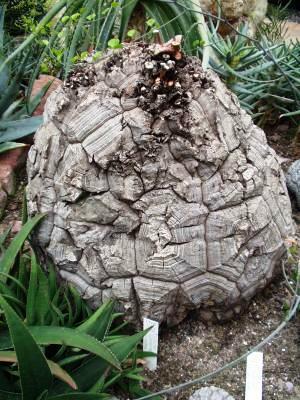 The caudex will grow to more than a meter in diameter, the vines reaches easy 5 meters. 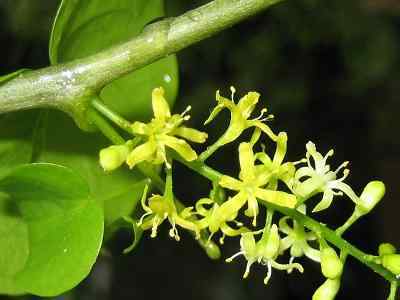 Both male and female flowers are pale yellow, and the seeds the only way to reproduce. I got mine both in Roskilde in 1990/2001. My plants are dormant from time to time! It seems like it will never learn to live in the northern hemisphere. 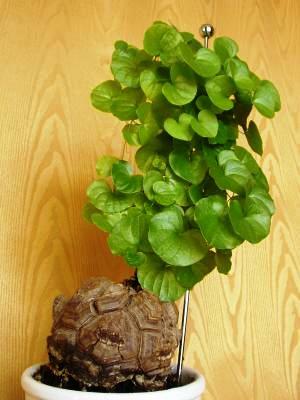 The caudex must be kept in shade. Heard of one, who had sown three seeds from the same plant in one pot. One of them was a winter-grower, the other one a summer-grower and the third from time to time - in the same pot still! This is the record of dormancy of my plant. It did not get out of the last one. 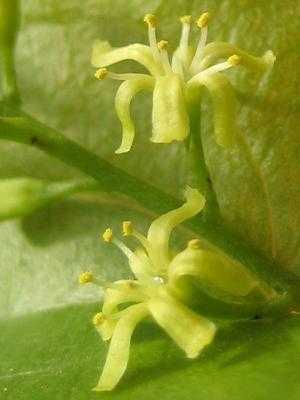 It's a dioecious caudiciform, I got two, but I haven't seen them flower. This is male-flowers from Copenhagen Botanical Garden. Fruits from and by Enrico Santimaria. This is fruits from Copenhagen Botanical Garden. And from Copenhagen Botanical Garden. Not the most nice habitat! Taken over by a dumpsite. Seen to the other side, it is lovely. Tend to be like this, when it is grown real rough, like in nature.